An ideal example of a Ferretti Custom Line 94 from 2001 which accommodation for 8 guests, comprising of one forward VIP cabin (main deck), master stateroom (lower deck) and two further cabins, (one double and one twin). All cabins are equipped with ensuite bathrooms. 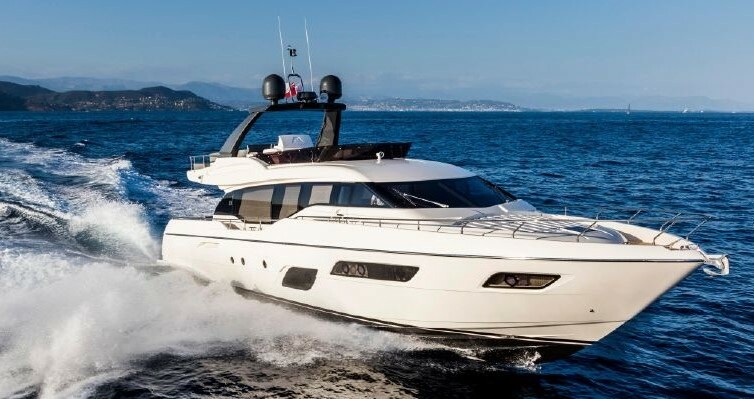 This Ferretti Custom Line 94 has a long list of extras and both the interior and exterior are maintained in good condition. Aft cockpit with third helm station and jacuzzi on flybridge. The crew areas is on the lower deck and and there is a garage for tender. Comfortable cruising at 25 knots.